The site provides a state-wide consolidation of workshops, media, and training for various HIV/AIDS agencies in all qualifying counties of California. 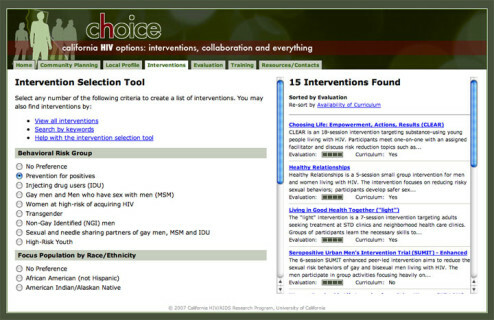 Each urban, rural, or suburban area has its own unique issues, for which this site custom matches opportunities based on the demographics and needs of the local health organizations. 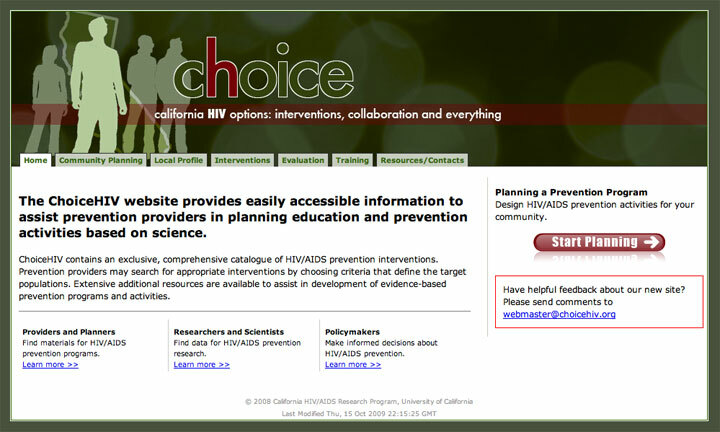 Responsible for design, layout, construction, usability testing, maintenance.